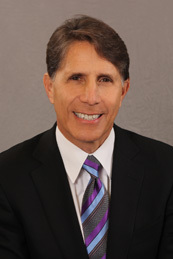 Joseph H. Serota, a founding partner of Weiss Serota Helfman Pastoriza Cole & Boniske, was recently named of counsel to the Greater Miami Chamber of Commerce. Serota will serve in this capacity for a two-year term. Serota previously served as chair of the Transportation and Infrastructure Committee and the New World Center Committee (Downtown Development) of the chamber. A founding member and senior litigator at the firm, Serota has extensive experience representing private and public entities throughout South Florida. He is active in professional organizations and civic affairs, including having served as chair of the Judicial Nominations Commission, 3rd District Court of Appeal, president of the Dade County Bar Association and as member of the Board of Governors of The Florida Bar. He is also past chair of the Metropolitan Dade County Community Relations Board and of the Miami-Dade County Independent Review Panel. Serota received his undergraduate degree from Princeton University and his J.D. from the University of Miami School of Law.